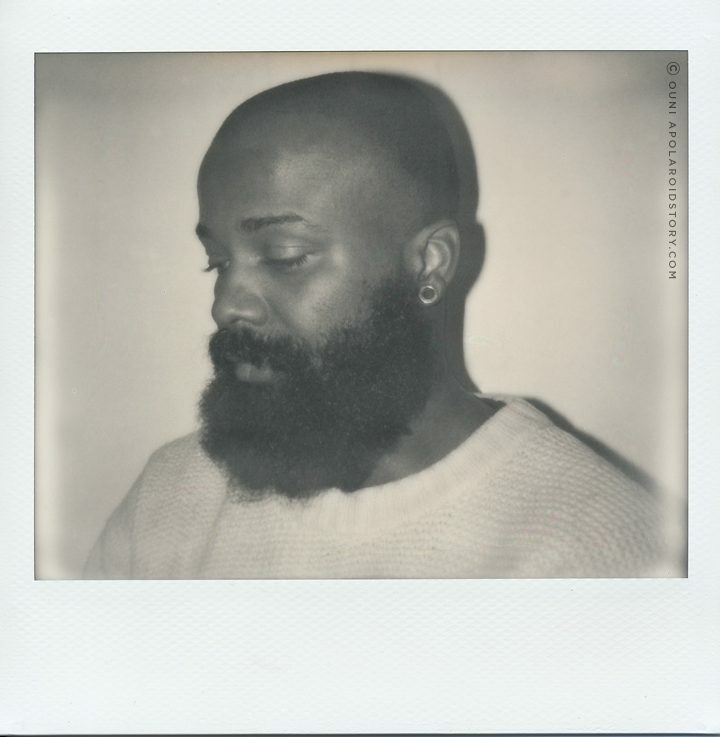 shot with (expired) Impossible Spectra B&W film. Happy to introduce a brand new edition to my modest Polaroid arsenal. As mentioned before I recently launched the #APSLocal lo-fi interview series where I will highlight Belgian artists worth your attention but from time to time I will also invite industry connoisseurs, young upcoming talent, DJ’s and producers to share their behind-the-scenes industry experiences and share personal views on the Belgian and international music scene. The second guest to kick-start this new series? Up and coming Kinshasa born, South-African raised and currently Brussels based artist; Amo Achille. Amo Achille popped up in the Belgian music scene somewhere in the beginning of 2017, stirring a lowkey buzz with the release of ‘Boyz In The Yard‘ a grimey yet productional rich track which was accompanied by a stunning (Anthony Nti directed) video. After his debut, Amo dropped the turn-up track ‘Too Much Sauce’ on his Soundcloud and then decided to go off the grid for a while. By December 2017 Amo resurfaced in the digital stratosphere and went on a weekly track releasing spree which he has been keeping up so far. With a dozen tracks released – No More, New Dude, Kissing Strangers & Too Much Sauce as personal favs, not thàt much is known about Amo Achille who keeps a low-key persona and only speaks through his music releases. Reason enough for me to be triggered so I decided to invite him to my humble cave and have a conversation. I hope you enjoy. Want to listen to this full interview on-the-go? Download the Anchor app and favorite ‘A Polaroid Story’ or click here. You can also listen to this interview via the official A Polaroid Story Soundcloud account here. 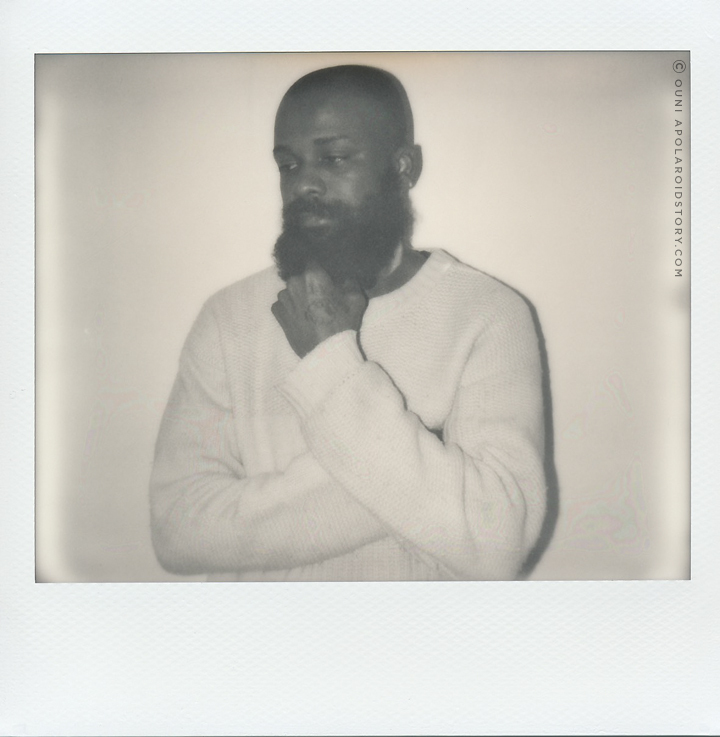 I leave you with the Polaroids we took that day afternoon! Special thanks to Pamela Evbuomwan & Jeremy D’Haemers for their contributions to this story.